Containers are one of the most topical areas in cloud computing. In the last couple of years, container based services have become increasingly popular for both on-premise and public cloud. This blog will explore the container services provided by Microsoft Azure and cover the basic concepts of Microsoft Azure Kuberetes Service (AKS), Azure Container Registry (ACR) and Azure Container Instance (ACI). 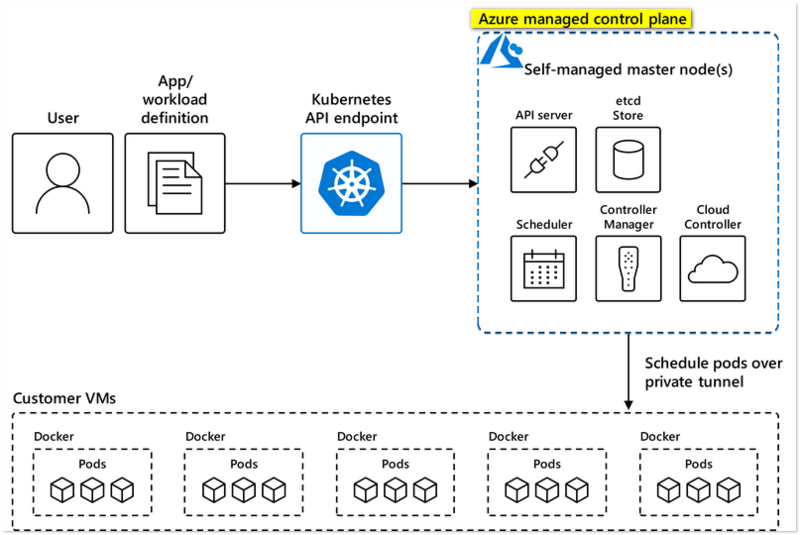 Microsoft’s Azure Kubernetes Service, known as AKS, provides a simple deployment, management and operations interface for fast access to container based services. One key point about the AKS service is that the platform is managed by Microsoft. There is no requirement for the end user to configure a master node or other base infrastructure. Users use the API endpoint to manage AKS using the Azure Cli -az. By integrating AKS with Azure Services Azure DevSpaces , Helm , Azure DevOps Project , ACR , ACI, Azure Monitor , a complete DevOps solution can be provided for cradle to grave (development to the production). Azure Container Registry (ACR) is a service that stores and manages container images for Azure deployments in a central registry. It manages and builds the Container Registry using Docker Registry-compatible commands and utilises private docker container images. Azure Container Instance (ACI) is a service that lets consumers deploy and run containers without managing servers. Container instances can be deployed in no time and provided with a public IP and full domain name (FQDN), which can be directly accessed from the Internet. As shown in the figure below, ACR provides container storage and can manage images via ACI.